The UK housing market wouldn’t normally receive too much attention here on The Next Web. But when an entrepreneur with a desire to disrupt the way houses are bought and sold across the country builds the technology to help make his vision happen, it’s certainly worth a look. So without any further ado, here’s the man who’s seeking to change the property market in England and Wales. Tim Price lives in Manchester, England. He has a background in IT & business, “I guess I speak both languages – hence my Architecture roles”, says Tim. “In the early years I worked in a startup that Phones4U owner John Caudwell funded, a company called Reach Telecom. We grew our platform from 0 subscribers to 250,000 in less than a year – we felt those growth pains and then became Caudwell Communications. My last position was as Chief Architect for the Hosting Business with FSTE 100 Cable & Wireless. I left in December 2010 and started to write the business plan for AssuredSale“. AssuredSale was born from a problem Tim personally encountered when trying to buy a house in early 2010, which ultimately ended up costing him £2,000. “We conducted a full structural survey on the house, costing around £1,000”, says Tim. “We then had the legal fees to pay as the transaction was virtually done, and finally our mortgage fee, which was non-refundable”. It turns out that the seller pulled out a week before the sale was due to be finalized. Tim was told by his solicitor that the money he’d shelled out to get to the point of sale couldn’t be reclaimed. “I was told a verbal offer is not binding”, says Tim. 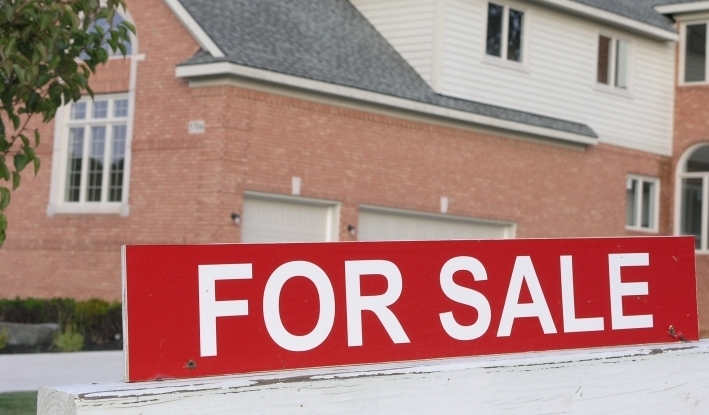 “This prompted me to look into the issues with the house-buying process. I was amazed to find that almost a third of house sales fail before exchange, and there is no protection for the buyer/seller at all”. AssuredSale is an online platform where buyers, agents and sellers can all communicate, and is designed to aid transparency and collaboration. A bond is submitted when a verbal offer is made, and this is returned when the final transaction is completed. The bonds are held by The Cooperative Bank. “Our independence allows us to be fair to both buyer and seller”, says Tim. “Both parties can view and share the progress of their transaction online”. The typical bond will be between £1,000 and £2,000, and will depend on the property value. The bond is currently alligned to stamp-duty thresholds, so for example “up to £125k”, “up to £250k”, etc. That’s AssuredSale in a nutshell. But surely there must be other similar platforms out there already? “We are the first to market with these innovations, so there’s nothing else like us”, says Tim. “Pre-exchange agreements have been around a while, but these are ad-hoc, expensive and not well known. There are lots of online tools from solicitors which handle the buyers’ conveyancing (legal) progress, but our tool is for all parties to share and collaborate from start to finish. Something which can really help resolve issues”. But how prevalent, exactly, are these issues, and are they unique to the UK? “The England & Wales house-buying process is really stuck in its ways, so yes it is quite unique, with customers resigned to how bad it is”, says Tim. “In our research, everybody has, or knows somebody who has had, a bad experience. It’s not so much about protecting the seller specifically though, as both stand to lose if one pulls out on the other”. So it seems that England and Wales in particular are the main markets that AssuredSale is looking to target for the time being. But why not Scotland or Northern Ireland? “Scotland has a different process, but not necessarily better in all ways”, says Tim. “They have upfront costs, which then secures the property if they offer is accepted. But if the offer isn’t accepted, they have still wasted their upfront money. Northern Ireland is actually very similar to England & Wales, so this would be a market to review later”. What about international expansion – would AssuredSale only work in the UK? “Australia actually has similar issues to what we have. But it would only work in certain countries though, some already have deposits as part of their regulation, for example in Spain and France”. Many among us get innovative ideas we’d love to act on, but so few of us actually act on this impulse. I asked Tim about his decision to push ahead with AssuredSale, and the steps he took to make it happen. 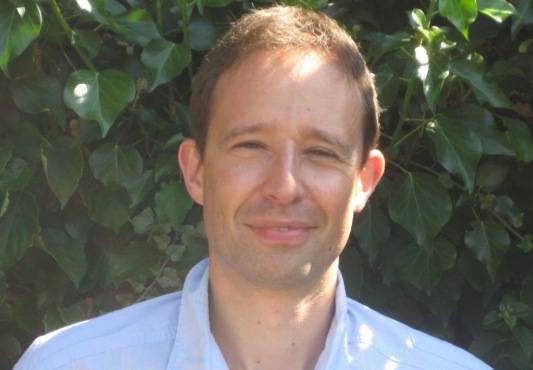 “I started to write the business plan, and I set up a new Limited company so I could carry out some consultancy work, which helped to pay the bills”, says Tim. “I stopped consulting in July to fully focus on getting the website, product offering and application ready for our pilot test. I may do the odd consulting day here and there, as we still need revenue, but I am fully focused on AssuredSale now. I had to leave my role to pursue the idea as I couldn’t give enough time to develop it when I was working full time. I think leaving was essential for me as it allowed me to break away from the rat race/umbilical cord of a regular salary and learn to how to run a company”. As with any new idea, it pays to test the water before jumping in head first. Tim visited some estate agents to talk them through the problem and concept, and they in turn provided him with feedback which he used to shape the service. “We then built a demo and took it to a really good agent we were introduced to”, says Tim. “Her whole team tested the demo for an hour, and it only crashed once! From there, we got a great set of user requirements which we used to begin development”. The demo was built around January/February this year, and work on the main application started at the end of March and the beta version launched at the end of July with one estate agent. So what has the feedback been like so far? “The challenge with the house buying process is it can take a while to get an offer, then complete the purchase”, says Tim. “So we are still in the early stages at the moment, but feedback from the buyers and sellers has been really positive. We currently have three buyer/seller sign-ups, which is pretty good considering the length of the sales cycle”. “It was the concept. I have always been a great admirer of the Scottish system and the willingness to commit at a much earlier stage. I feel anything we can do to get a firmer commitment from buyers/sellers would be a good thing for everybody in the long run. I believe a big part of estate agents’ poor reputation goes down to the fact people have to spend – and sometimes waste – huge amounts of money when hopefully a simple concept like this can be of great benefit to stop this happening. I personally think the property industry has been crying out for something like this for a long long time and when it was explained, it sounded like a great idea”. Ben tells me he will be trialling it for the rest of the year and then take it from there. “I am hoping this will work well and one day become the norm for everybody in property sales”, says Ben. 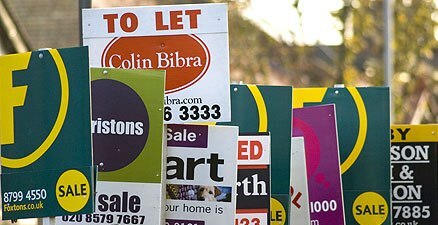 If AssuredSale takes off, it could be the shot in the arm the UK housing market needs. But what is AssuredSale’s business model – how is it funded and how does it plan to make money? “It is still bootstrapped which really focuses every pound we spend – it’s very tough”, says Tim. “We have several business plan forecasts for next year and one would need investment, so we have just started talking to investors. We will charge a fee to both the buyer and seller using this service from next month (customers can currently sign up for free). Estate agents benefit significantly as well, as it reduces their fall-through rate and improves customer experience”. Besides Tim, AssuredSale currently comprises Daniel Pass (CTO), who built the demo and shared the subsequent development of the main platform. “We hired a good contact of ours to take the demo and convert it so it’s scalable for future growth”, says Tim. “That’s where my IT background does make life in a startup a bit easier. We also have a genius Web and graphic designer onboard who’s now a good friend, and I have helped him build the site – I am quite good at css now! I have had to use a lot of my network to process this project”. There are now six people on the AssuredSale team, all part-time but who will move to full time as the company grows. “We use free tools like Skype, Dropbox and Basecamp to ensure we all keep up to date, even if we are not in the same place”, says Tim. With AssuredSale launching properly now, where does Tim see his company being this time next year? “AssuredSale will establish itself as the first choice for a seller and buyer who want to increase the likelihood of their transaction going through”, he says. “We also have quite a few cool features in the pipeline, all aimed at improving the buyer, seller and estate agent process & experience. Utilising technology more, like iPhone/Android notifications. 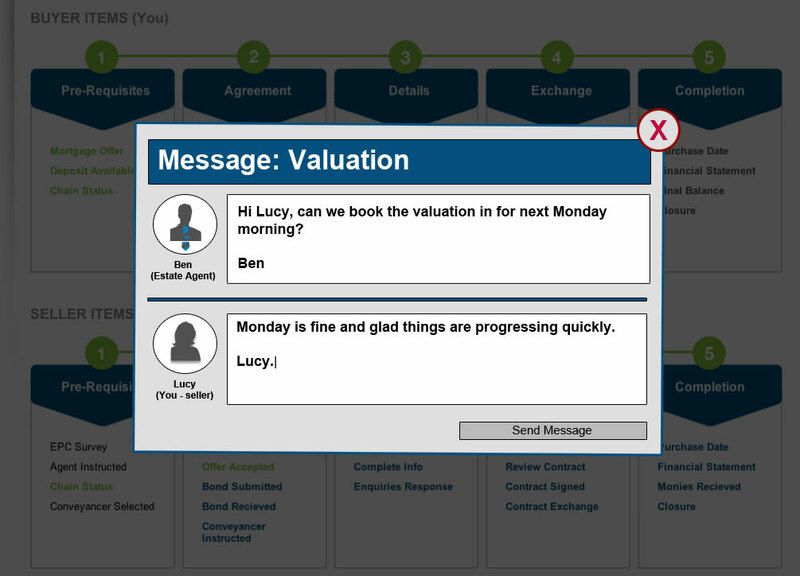 Process wise, we have things like chain status that can be displayed and estate agents can message each other directly. We also need to ensure the market is ready for some of them – for example, our application could be a bit like Facebook for purchasing your house, but that’s something people are not used to yet”. Looking at the broader industry in England and Wales, it will be interesting to see whether any regulatory changes will come about that will fit with the AssuredSale ethos. It’s clear that something does need to happen at a higher level to help ensure homebuyers don’t lose several thousand pounds each time they attempt to buy a house. If this does happen, then we could see many more similar platforms spring up, which is why getting in at this early stage could work to Tim’s advantage. “Our view is the government may well look to see how AssuredSale does, and then possibly regulate, like they did for companies involved in the rental deposit scheme”, says Tim. “Recently, the e-homebuying forum, Chaired by Sir Bryan Carsberg, called for this type of service to be offered to the market”. “Gazundering and gazumping can be avoided if the buyer and the seller reach a preliminary agreement and if one party refuses to enter such an agreement, the other is informed that there is no firm commitment. We believe a legally binding preliminary contract, requiring, for example, a 5-10% deposit would give a serious indication of the intent to purchase or sell a house, therefore helping to identify timewasters and speculative sellers from the market”. It’s still early doors, and Tim & Co. are still at the very start of their journey. But it’s clear something needs to change in terms of how houses are bought and sold in parts of the UK, and AssuredSale could be the very platform on which these changes come about.